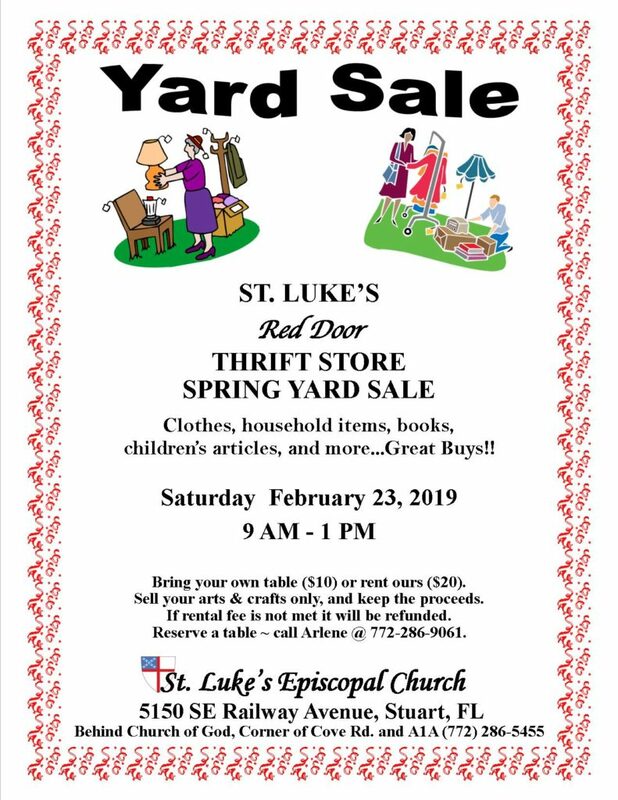 St. Luke’s Episcopal Church’s Red Door Thrift Store will have a Spring Yard Sale on Saturday, Feb. 23, 9 a.m. to 1 p.m., at the church, 5150 Railway Avenue, Cove Road at Dixie Highway, Port Salerno. Bring your own table ($10) or rent one from the church ($20). Sell your arts and crafts (only) and keep the proceeds. If rental fee is not met, it will be refunded.